Connect your Xbox360, PS3 AND Blu-Ray Player to a single HDTV! Technology is great and moves very fast. Too bad virtually all new and recent TVs only have 1Ñ HDMI port. This means you have to get up and manually unplug, then re-plug in your gaming console, DVD or Blu-Ray player. What an inconvenient, time consuming pain! Well, not anymore! TekNmotion is pleased to introduce our new 3 Port HDMI SwitchÑ! Now you can connect up to 3 devices of your choice: Next Generation Gaming Console, Blu-Ray Player or Laptop. Our universal HDMI switch works with ANY HDMI compliant device to allow you to use one TV for 3 different input devices. Setup the 3 Port HDMI Switch once and you're done! 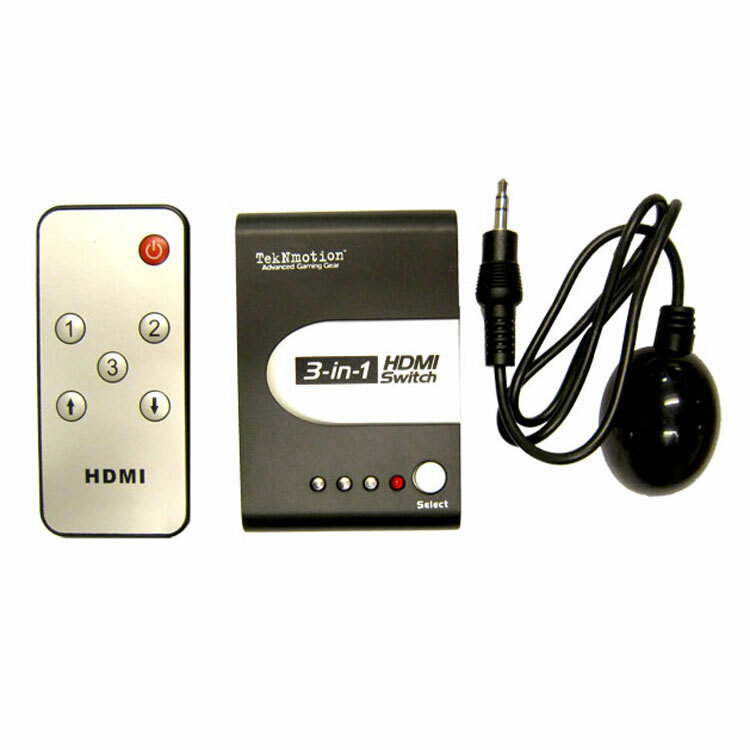 It features both a manual switch and a wireless remote to select between HDMI ports. The innovation doesn't stop there. Our new design is powerlessÑ! 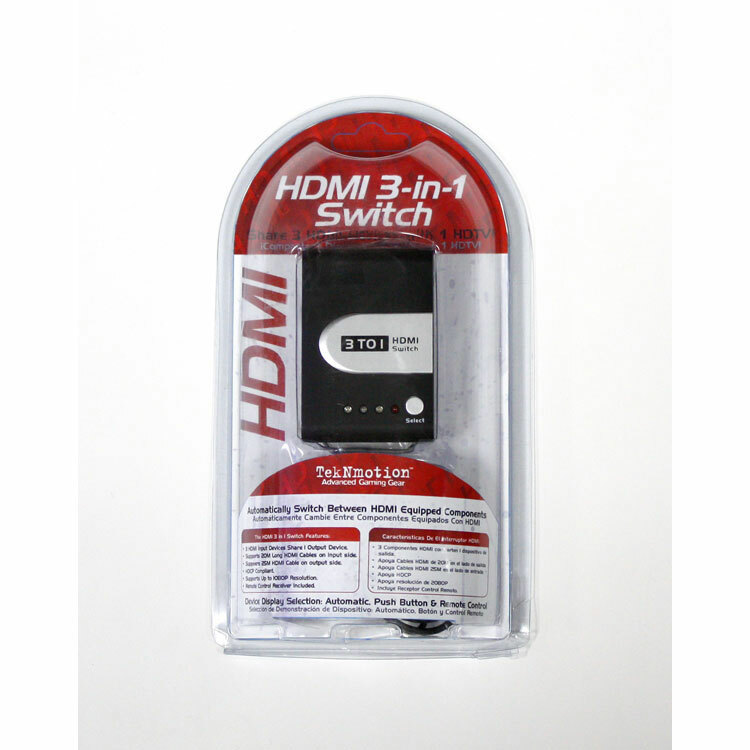 Unlike other HDMI switches our 3 Port HDMI Switch does NOT require a separate power source. No additional wires and no additional power outlet required!